When you’re at home, where do you hang out? If you said, “the kitchen,” then you’re part of a growing trend. That’s the message from home design experts who say, today’s new homes are more “kitchen-centric” than ever before. In fact, a new home builder’s survey shows that the average kitchen size has grown to a whopping 300 square feet – which is a record high. Why do we want bigger kitchens? Experts say one reason is that more of us are cooking at home today – either to save money, eat healthier, or just because it’s fun. Cooking itself has been elevated from chore to hobby – even to an expression of skill. So, we want kitchens where we have room to stretch out while we cook. Also, experts say the bigger kitchen trend is a sign that we’re spending more time entertaining in the kitchen. In fact, surveys show that some families now spend up to 90 percent of their waking time at home in the kitchen area. So, we want room to install seating areas, flat screen TVs, or even fireplaces! More of us are preparing food as if we have our own cooking show, and we want plenty of room for our family and friends to watch or help. But get this: That’s also why a growing number of new kitchens may not look like kitchens. Many home builders say they’re getting requests to have appliances hidden behind cupboards or, to have the actual cooking and cleaning done in a second, smaller kitchen! That way, you can hang out with guests in the main kitchen, and not worry about them seeing dirty dishes. So, what if your home doesn’t have a supersize kitchen? Is it worth paying for a remodel? 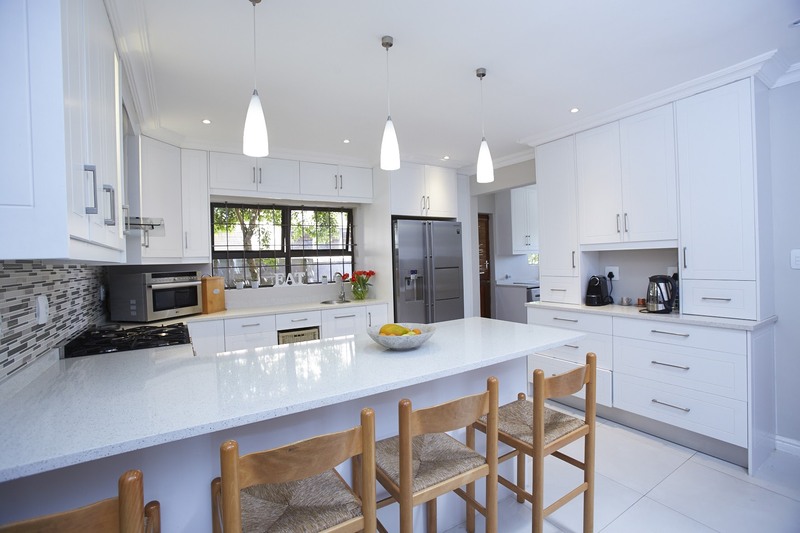 Experts say if you’re planning to sell your home, a kitchen remodel can definitely add value, and help it sell faster. Just don’t go overboard because in today’s market, homeowners typically only make back 60 percent of the cost.